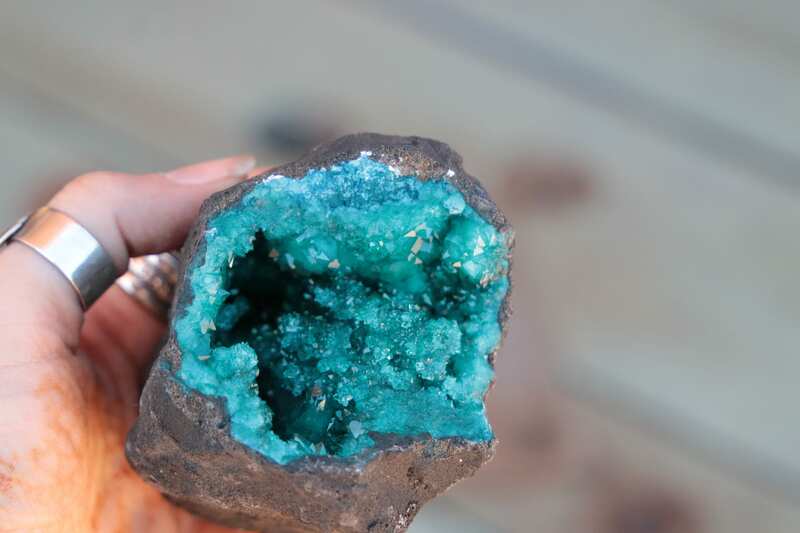 Straight from the Atlas mountains in Morocco, these authentic crystal caves are simply magical! With glittering crystal shards cased within their natural exteriors they are both striking, stunning, and entirely captivating. 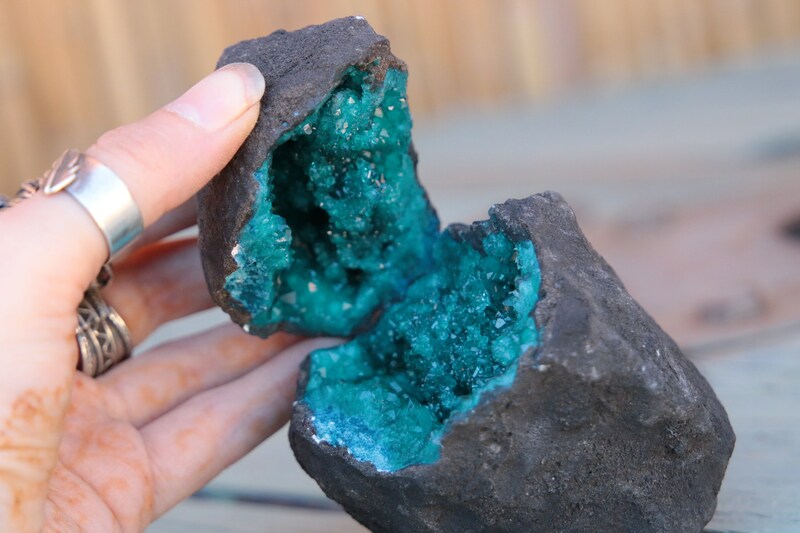 Though the insides have been dyed to create this colouring, the energy within the crystal is believed to remain the same. 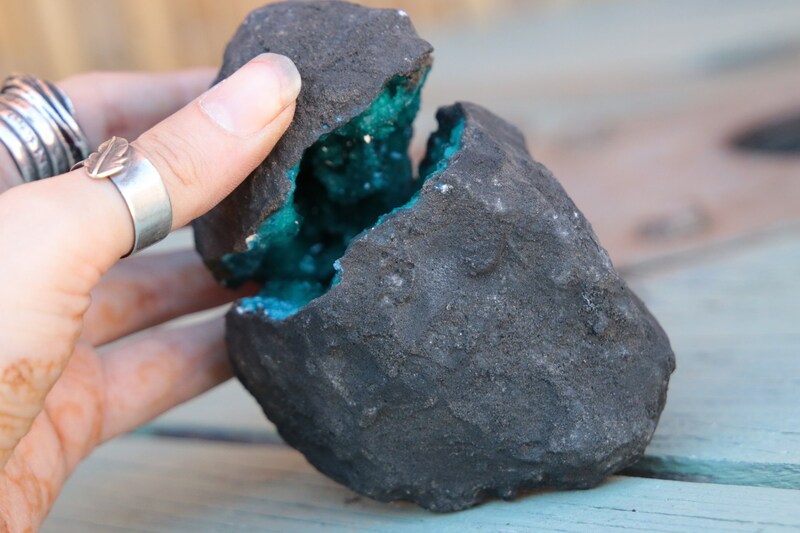 Geodes bring the energy of balance and beauty into your space. 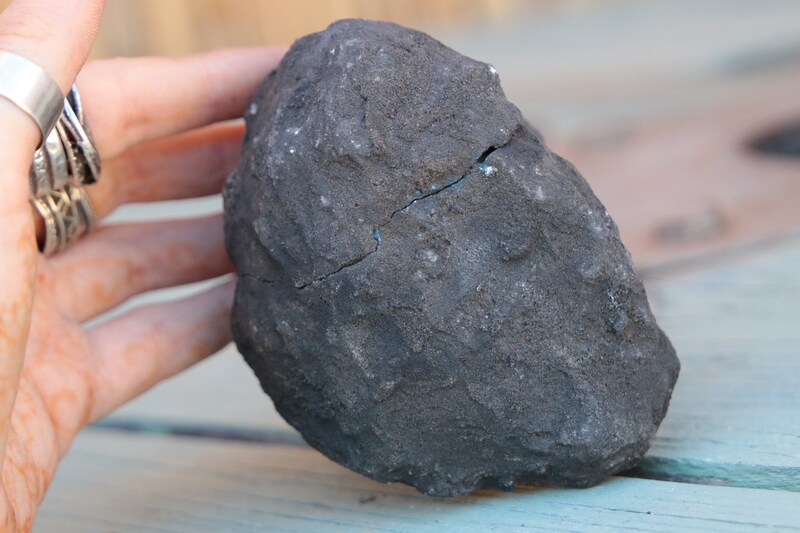 Quartz emits strong healing and cleansing energy that eliminates negative energy and raises the vibration of your living space. 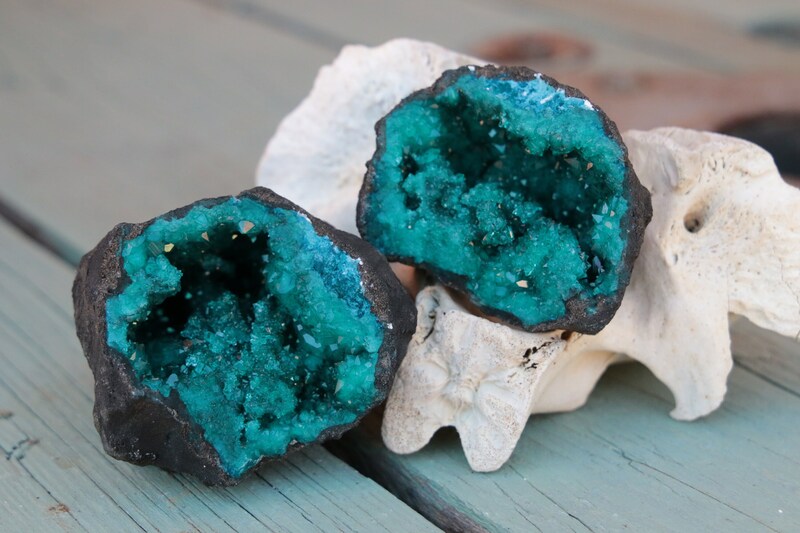 These crystal geodes make great gifts! They come in two halves and you will receive BOTH halves, this means you can keep half and give the other to someone you love! They make great candle holders, altar and crystal grid offerings, ornaments and gifts. 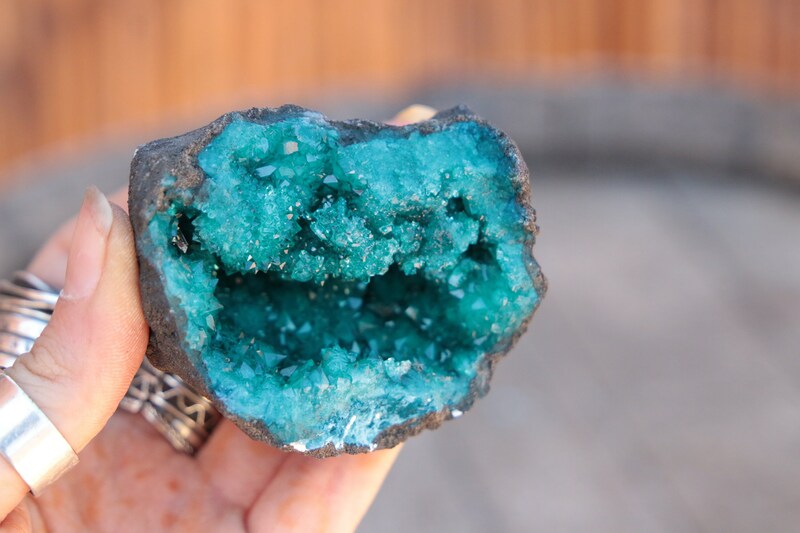 When you buy this crystal you get the exact one photographed, because of their natural nature, they are all different and no two will ever be the same. 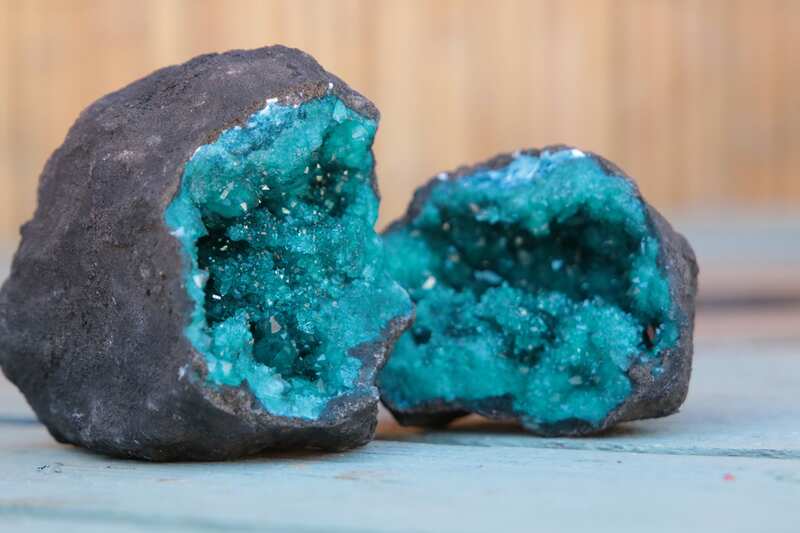 * All crystal geodes come boxed and neatly packaged, which makes them great for gift giving. Only one box is supplied, an additional box can be sent upon request. 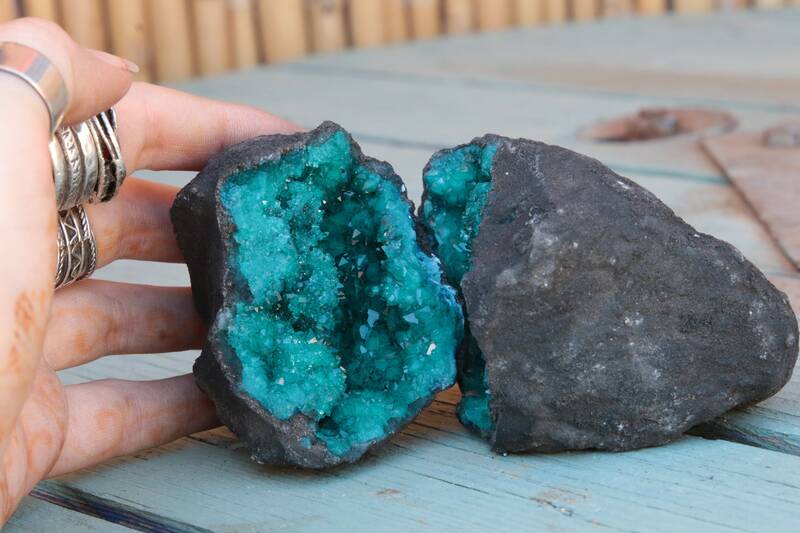 * These are of a fragile nature and are natural, this may mean there are sometimes loose fragments in the crystal, this is perfectly natural and no cause for alarm!